Most like their turkey with a side of dumplings, cranberry sauce, and maybe some twice baked potatoes. Here at the Cove, the “turkey” is plentiful, but we’d be lying if we said we had any desire to stuff our turkey and dress it on the table. You see, our type of turkey, it likes to eat dead animals and then shamelessly throw them up. It loves to seep its talons and bald head into stinky, slimy flesh, and then roast in the hot sun. While some may consider this turkey as an “Organic” or “Free-Range” or “Locally Grown” option, we are going to stick to eatin’ the turkey that grandma fixes and HIGHLY suggest you do the same! 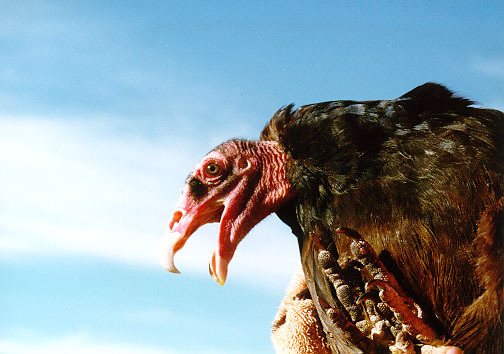 This turkey that we’re talking about, is called the “Turkey Vulture” and is yes, in fact a vulture (not a turkey!). Though these guys are creepy and disgusting, they hold a special place in our hearts here at the Cove. Not to mention they are super vital to our functioning high desert ecosystem, their niche is to eat and decompose dead animals. Without them, we would see many more dead animals hanging around for a longer duration of time, and smelling rather foul! To wish you a Happy Thanksgiving, the Interp Team has provided you with the following collection of Turkey Vulture photos and fun, disgusting facts just to build up that appetite before the big feast! Happy Thanksgiving, what are you thankful for this year?! 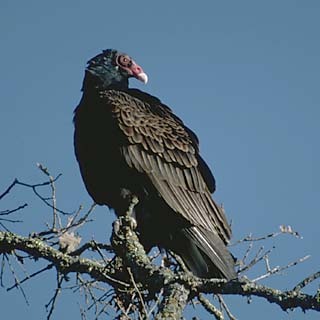 The Turkey Vultures of the Cove like to nest in 2 specific trees in our park. One tree is located right smack dab in the middle of Deschutes Campground, the other off the road heading towards the Deschutes River bridge. Every night at around 8pm in the summer, the 20 something vultures will circle down and land in these trees and call it a day. 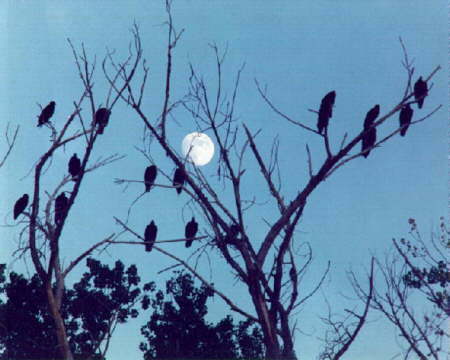 The vultures will roost all night, and in the morning they will spread their wings wide and sit for awhile, basking in the sun. They partake in this funny looking action so that the sun may heat up and kill the bacteria on their wings from their recent meal. Here is an example of that silly looking, ninja stance they do to kill bacteria. 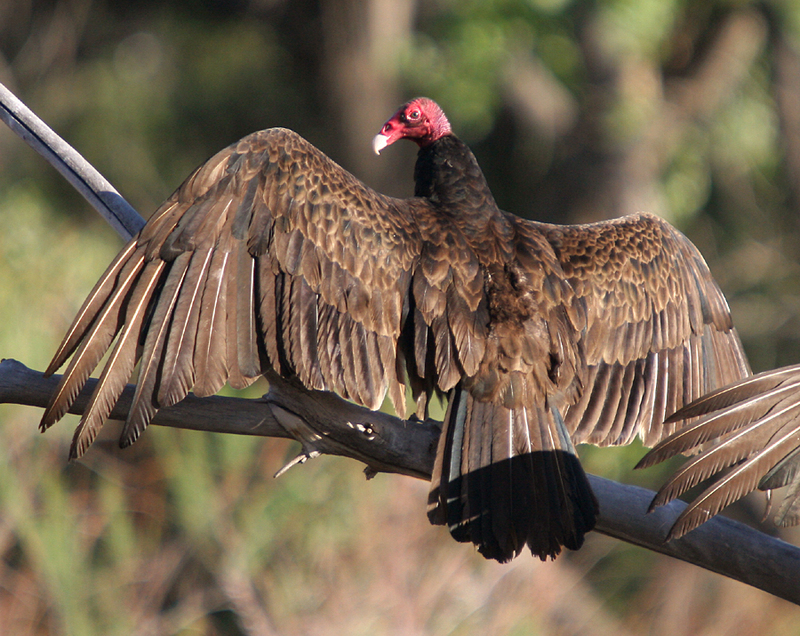 Did you know that a turkey vulture has a bald head so it can put it’s head into dead flesh with ease? This adaptation also helps the bird to keep bacteria from sticking near it’s eyes and beak. This is a “turkey” that literally stuffs itself! 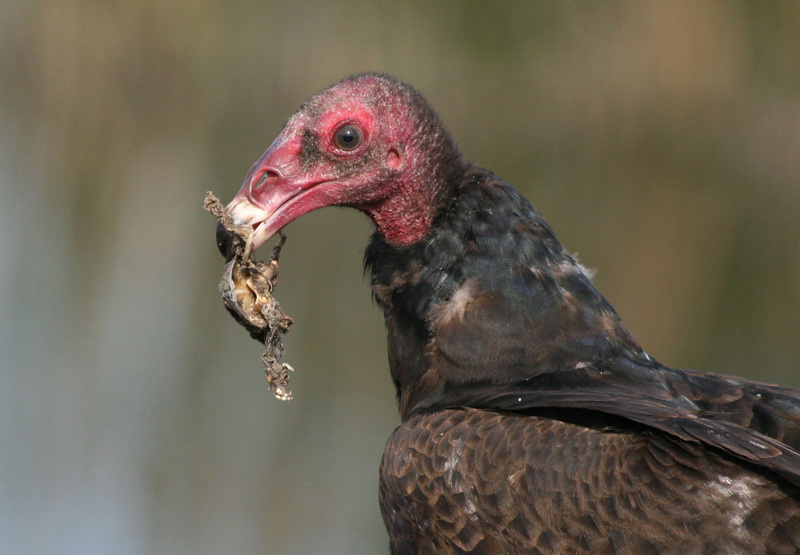 When a turkey vulture finds a dead animal to eat (this dead animal is also known as “Carrion”) it will eat as much as it can, because it just doesn’t know when it might find another dead animal. Turkey vultures have the incredible talent to vomit on command, in case a predator is close, to lighten their load so they can fly away! 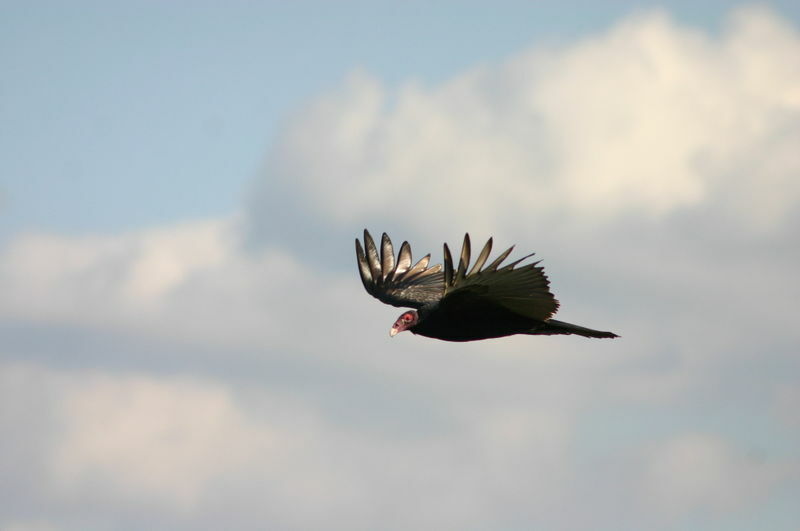 Turkey Vulture Flying With Wing Tips Up. 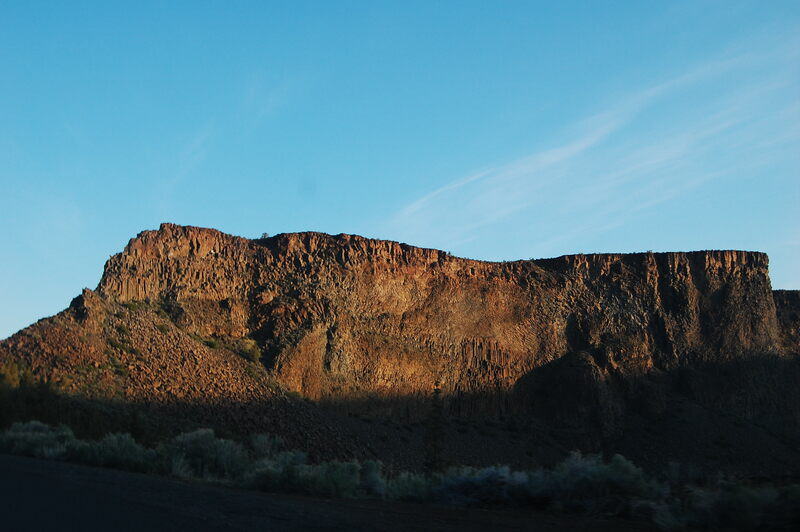 This specific area of Central Oregon and the High Desert is known for it’s unique landscape, particularly for the high, sheer canyon walls of columnar basalt with other layers of sediments and volcanic eras exposed. When basalt is beneath the surface it is called lava, when it is outside the earth’s crust, it is called basalt. 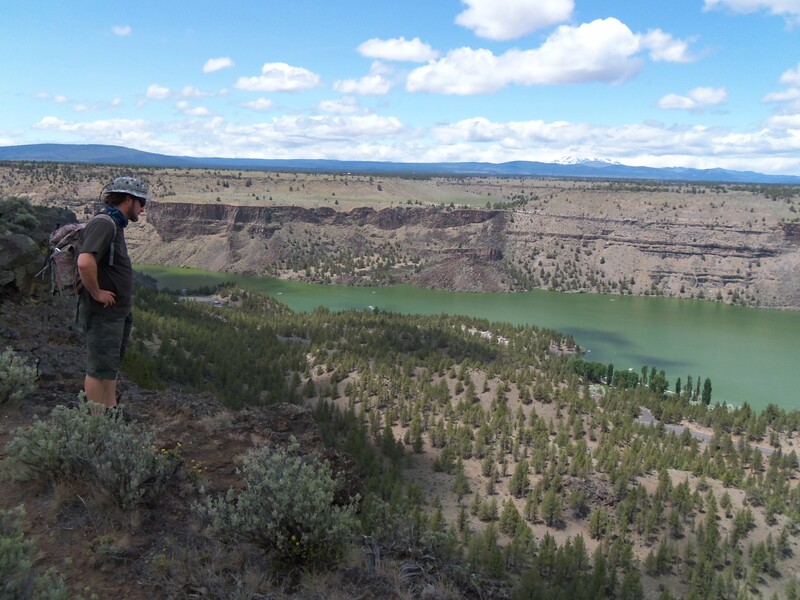 The Cove, the Deschutes River Canyon, the Crooked River Canyon, and atop the Peninsula from the Tam-a-lau trail are all excellent places to literally view evident layers of this history. Like layers of colored sand in a jar, the moment you enter the park you notice what seem like gentle heartbeats that paint the canyon walls, stripes and sections of different colors. Geologists believe that these stripes and sections represent intervals of volcanic activity, lava flow, climate cooling and heating, all contributing to the forming and redirecting of rivers that meandered through the region in the last millions of years. The geological history of the Cove is as complex and melodramatic as can be. Because it is so complex, the earth has provided us with a drastic and diverse landscape, sputtered with colors of basalt, rhyolite, and sedimentary layers. This landscape is also littered with sporadic buttes where the molting earth below was pressured to vent, along with fossils of animals and even sea creatures that roamed the land and sea, from when this great state was believe to be covered by the ocean. Geologists believe that most of the rocks and outlay formation visible at the Cove was emplaced roughly 5-6 million years ago, after regional uplift and the basalt layers had settled from the Columbia River basalt formations. It was during this time the new Cascades (Mt. Hood, Mt. Jefferson, The Three Sisters, etc.) were formed, giving enough height to alter the climate of this region, changing it from temperate to dry and arid as most clouds began to dissipate after their journey over the high peaks. 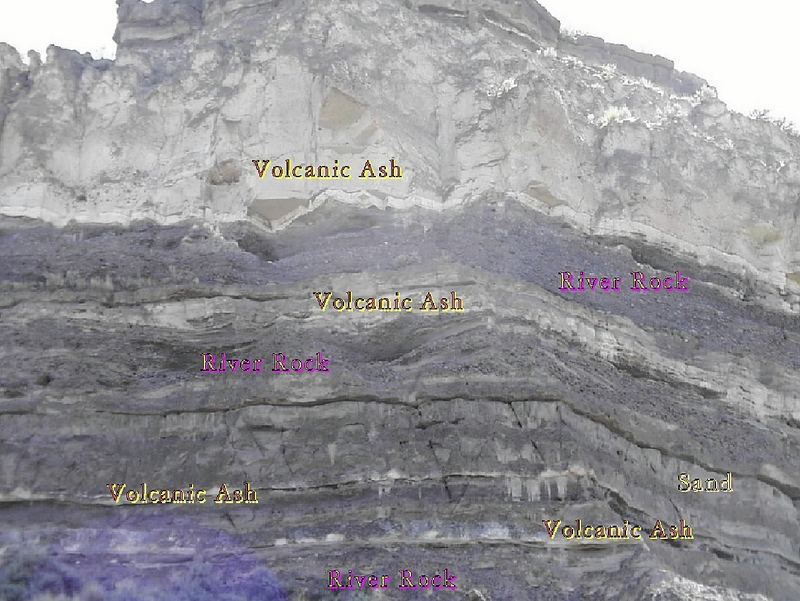 The rocks we see now are mostly sands, gravels, conglomerates, and lava flow layers that left behind welded tuff and pumice, capped off by rim rock basalt flows. 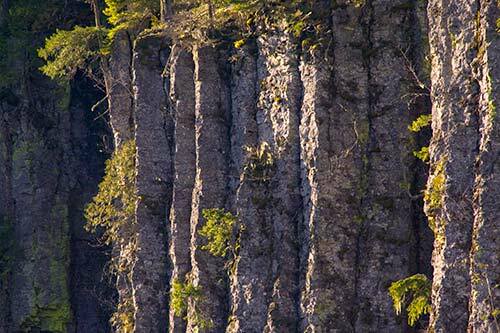 Rimrock is the sheer rock wall at the upper edge of a plateau, canyon, or geological uplift. When lava from nearby eruptions seeped through the area, it cooled quickly to form the “columnar basalt” that pedestals the peninsula. 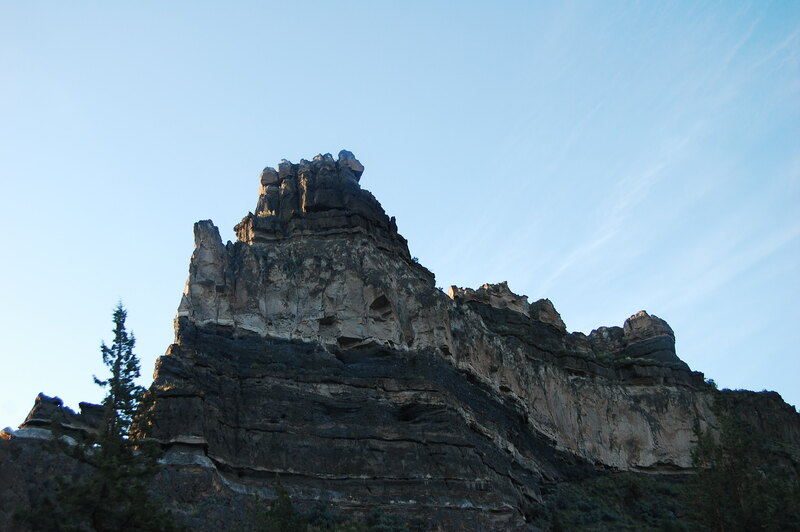 These basalt columns are known as the famous “palisades” that the Cove Palisades State Park is named after. We can also give credit to erosion and more (slowly but surely) regional uplift for the steepness of these canyons. The “Palisades” at the Cove are unlike any to be seen in Oregon. They are towering and majestic, and as the sun comes up or begins to set, they absorb and reflect the deepest orange, brown, and purple hues. They are so tall, that visitors often forget to LOOK UP! and to view these rocks that tower above them and admire the light reflecting off of the pillars. It is humbling.